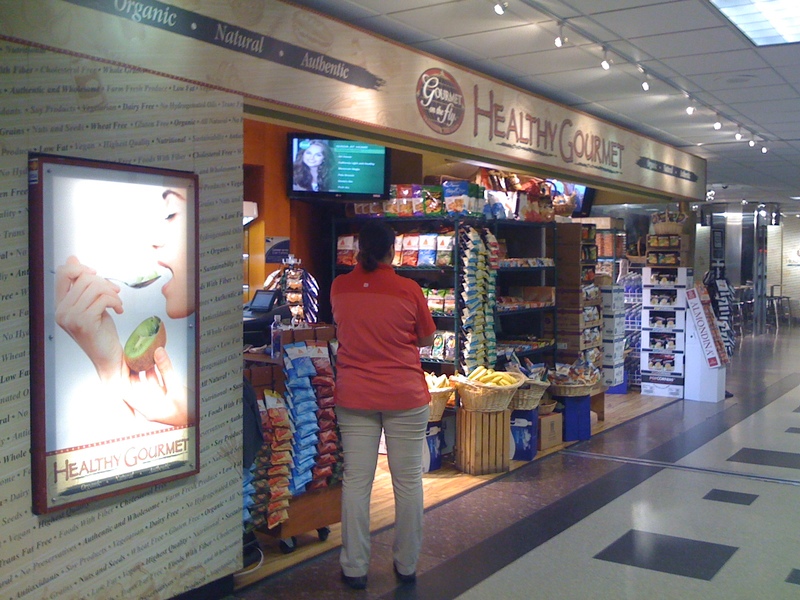 En route to California a few weeks ago I discovered possibly the only thing that could make me actually smile at 5:30am: A Healthy Gourmet shop at JFK. If you’ve read my blog before or know me, you know that I travel a lot and am perpetually annoyed by food choices on the road (or in the air). On this particular trip, due to the early departure time, I was armed only with a banana and a protein bar for the 6hr flight, so you can imagine my joy when rounding the corner in the Delta terminal only to find this. Stocked with fruits, and juices, and organic everything, oh my. After a 5 minute investigation of all items in the store I decided on an edamame and tofu salad. It was delicious and more than enough protein to tide me over until an early dinner in San Diego. I’m looking forward to the day when places like this exist in every airport and rest stop across the country. Entry filed under: Travels. Tags: Delta JFK, Healthy Gourmet.